BBF Family Services will host a screening of the documentary “Heading West: A History of African Americans on Chicago’s West Side” Friday, Dec. 2 from 6:30 to 8:30 p.m. at the BBF Center, 1512 S. Pulaski Road. The documentary on African-American migration to Chicago will be followed by a public conversation featuring the film’s writer, director and producer, broadcast journalist Darryl Dennard. Event attendees are encouraged to stay after the film screening and share their own personal family stories about coming to and living on the city’s West Side. Dennard, himself a migrant to Chicago, will facilitate the post-film conversation and provide insights into West Side history and the filmmaking process. A longtime broadcaster for television and radio, Dennard hosts the radio show “Chicago Speaks” on the local V103 station. BBF will host the film screening due to its longstanding contributions to the history of Chicago’s West Side from the turbulent sixties to the present. First founded as the Archie Moore Boxing Club for at-risk youth, BBF has assisted generations of African Americans seeking hope and advancement through holistic, wraparound programs and services. Since 1961, BBF Family Services, formerly known as the Better Boys Foundation, has provided services to North Lawndale youth and their families. 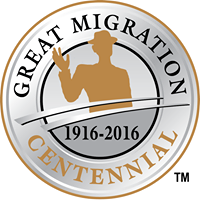 The “Heading West” film screening is made possible through a partnership between BBF Family Services, the 2016 Great Migration Centennial Commission, the North Lawndale Employment Network, Cook County Commission District 2 and Habilitative Systems Inc.
To reserve tickets for this free event, click here or call (773) 542-7331. The public is invited to the see the documentary "Heading West: A History of African Americans on Chicago’s West Side" and participate in a post-screening discussion at Garfield Park Conservatory.